It was a moment of wonders and happiness to witness the grand Mufti we’ve all been waiting for at the national stadium in broad day light. Another exciting aspect is seeing the beauty of Asr prayer the people prayer not forgetting their purpose! The lecture was a full 48 minutes talk and was mainly focussed on peace, unity and love. Mufti Ismail Menk also expressed his solidarity and prayed for the victims of the Mudslide and flood last month August in our nation. He also advised and urged everyone to be united upon truth. He expressed the beauty he saw today among Sierra Leoneans and indeed it was a manifestation of the love of our religion. He also humbly told the crowd he is just like anyone of them and he is not superior to anyone as he is just like them. He also urged everyone to be kind and show the beauty of Islam to people who do not share our faith. Mufti Menk gave an example of a man who helped a thirsty dog drink as an example to show kindness and love even if they are non Muslims as this will help them understand the true values of Islam. Lastly he mentioned these words at the end of his sermon. “There’s hope in Sierra Leone!” “Worship Allah alone and let put our worries to Him as He is the one that will solve it.” “When we express excitement and happiness we should know where to focus it and we should focus it to the Almighty Allah” The Sheikh prayed for Sierra Leone, Muslims and the rest of humanity and the lecture ended. Ma shaa Allah, what a wonderful day in Freetown where an Islamic scholar get such a population. This is the real beauty of Islam. May we all gain from the lectures we had from him. It’s a very emotional moment for the people of Sierra Leone both our Christian brothers and sisters they too play a great role to commence the occasion . May Allah reward then all. That is to show our religious tolarance our peacefull nation is..If we are abe to stag such mufti in this peacful country is with the help of none Muslim as well….Allah reward we all. .
Ma Sha Allah. May Allah continue to bless him, the people of Sierra Leone and all the Muslims around the globe. It was a great example to the world interms of religious tolerance as some of the Christians attended the event with an open mind. Ma Sha Allah. 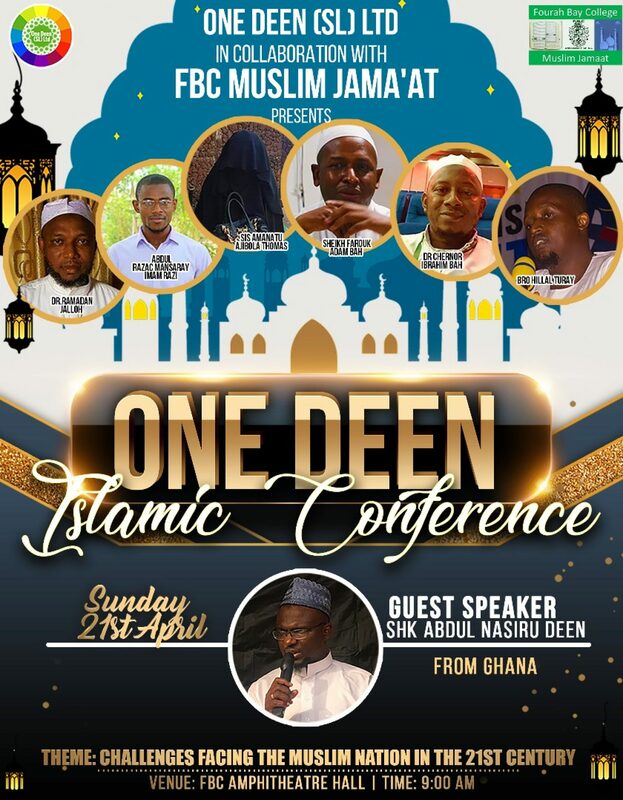 Its a wonderful and great event as well as food for thought and moment of relection for Sierra Leoneans whatever faith one practices. Islam been the most renowned and widely spread religion its about time for people of that nation to turn wholeheartedly into worshipping ALLAH alone with no associate and make THAWBA for Allah Azawajaal to forgive their sins and pray for our beloved nation that Allah may avert fitnas from befalling our country. May Allah Azawajaal give the Leaders of Sierra Leone Idayaat and God Fearing attitude to rule the nation and lead the people into peace and tranquility AMEEN. A nice and wonderful lectures from Mufti. Allah continues to bless him more and more.